The Nitro Concept S300 Stealth Black Ergonomic Office Gaming Chair almost sounds like a fighter jet more than a gaming chair but it does hold up to the name. It’s a very sleek looking chair and a nicely designed chair, while the standard chair comes in a standard black design, we personally like the other designs offered that comes in red, green, yellow, orange and more. 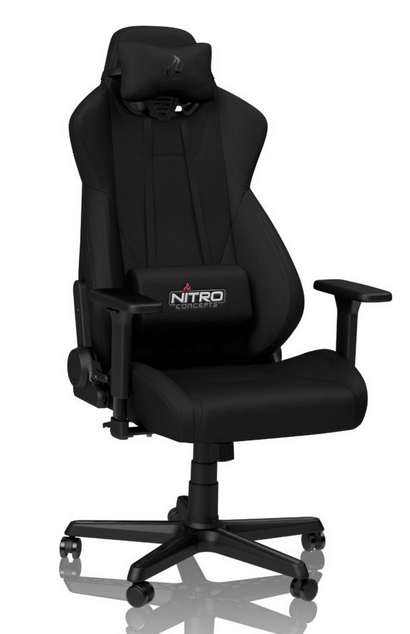 So, what’s so different about the Nitro S300 Chair series from the other series and what makes it worth the purchase? We dove into the chair to find out to see if this chair was worth the purchase. What’s the weight of this product? ​Will the wheels damage my hard wood floor? The design is definitely out there and it’s kind of in your face. It stands out and that’s a good thing. The design is very extravagant, something that the former series prior to the S300 isn’t. While the other designs were good, it just didn’t have that flash that the S300 has. The red edges on the chair with red (if you were to choose red) is a perfect highlight and compliments the chair very nicely. We like the logo placement of the chair and it stands out no matter what angle you’re looking at the chair from. Aside from being highly adjustable, we were concerned some of the features on the S300 Gaming Chair we’re going to take a dip once we got to the durability. This is an absolute no as the chair is made with a high piston class base and the wheels are solid. The chair is made with steel solid frame and supports up to 135kg, so you don’t have to worry about the overall weight limit as long as you’re within that range for big and tall gaming chair check here The double wheel base is sturdy and doesn’t harm your floor, so the durability is a solid 10 out of 10 with this chair. Durable Breathable Fabric – While we know fabric isn’t the most reliable type of source material, especially for accident prone people, this may be one of the few exceptions. The fabric material used in the production of this chair makes for a pretty comfortable resting surface and it’s nice and tender to the touch. We had no complaints with it and it’s made with pretty good quality. German Engineering – One of the great things we love about the Nitro S300 chair for gaming and something that Nitro Concepts is apparently known for is they employ German engineering. It’s such a selling point to have German engineering behind your product that even automobile makers use it in their commercials to help sell products. Let’s face it, German engineering is strong, durable and superior, so you can never go wrong with it. Sporty Design – We love the design of this chair because it’s simple but they’ve somehow got it to stand out quite well. It almost gives off some kind of a racing sporty look and it looks sleek no matter what color you apply to the trim. We like red but they also have yellow, orange, green, white, black, blue and probably more if you want a different color. High-Quality Material – The fabric cover of this Nitro Gaming Chair is really soft and it’s not soft to the point where it compromises durability. We particularly enjoyed the cover of this chair and it felt even better to sit in. The cover is pretty breathable, which means that it’s open air and it lets the foam padding go back to its original form once its sat in. The seating experience overall is very pleasant and it’s definitely something we can stand behind 100% from our approved seating testers. Yes, the material used in the chair is a very soft and breathable foam that is pretty common in a lot of gaming chairs. It’s soft but firm at the same time to the touch. You’ll see if you get the product and sit down in it or place your hand on it. 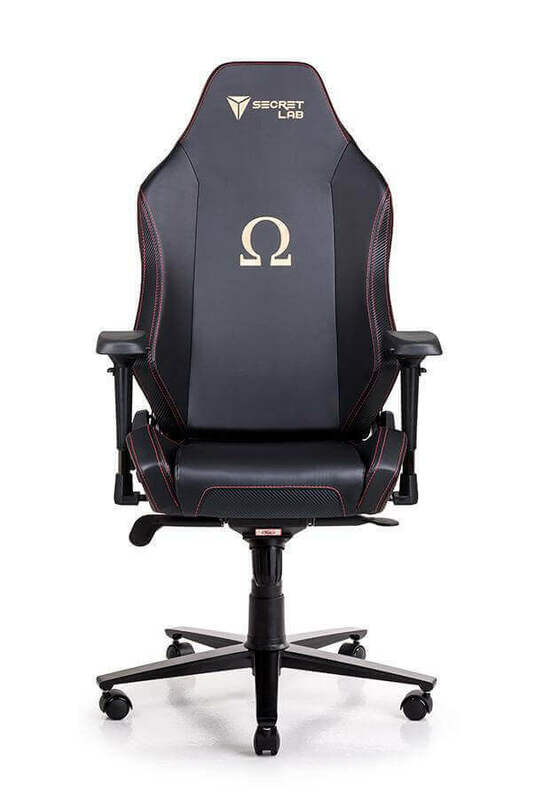 When the Nitro Gaming Chair is shipped, it’s shipped at approximately 60 pounds, so it’s definitely more lightweight than some of the chairs on the market which can be up to and over 100 pounds. You won’t have any trouble with installation or lifting the box. No. They’re double wheeled but coated with hard resistant material to help protect against that very issue, so they aren’t going to damage any part of your floor, no matter how long you use it or keep it on the same spot on your hard wood floor. The Nitro Gaming Chair is a nice addition to a gamer’s cave. It’s durable, it’s very soft to the touch, it’s a nice relaxing comfortable cloud when you sit on it and it’s not going to break your bank. It might take a little saving up, but it’s definitely worth the price tag and we should say take the plunge. There’s no real major downfalls to this chair and it’s something that’ll be in your gaming arsenal for many years to come.